Below are pictures from the boys' trip to Liverpool. They did an interview and impromptu concert on BBC Merseyside Radio. The photos from the train station are the Lime St. Station as seen in A Hard Days Night. the last photo in this group is of John Zambetti and Gered Mankowitz. Gered is the legendary London photographer who did the first two Rolling Stone album covers and the first Jimi Hendrix cover. John Zambetti kept a journal of their time in Liverpool, read his comments here. 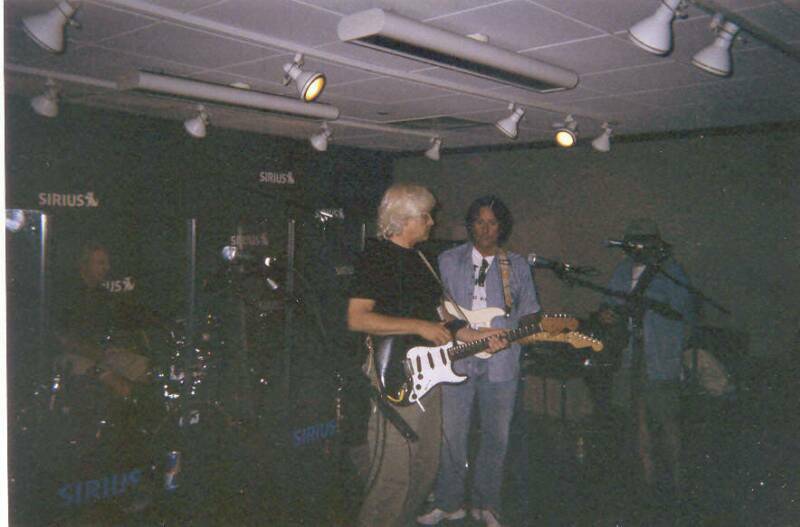 In May of 2002, John Zambetti and his son Johnny did a recording session at Abbey Road Studios in London in the legendary studio #2. They had the original tape machine and mics brought in that the Beatles had used. Photographer Gered Mankowitz joined them there to document the session. 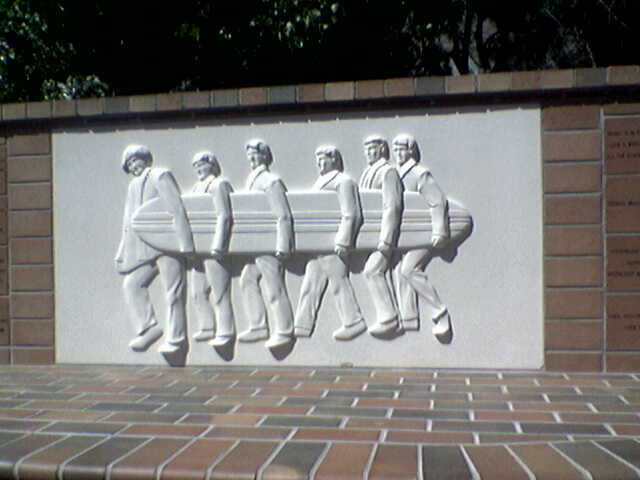 At the unveiling of the Beach Boys Landmark at the site of their old home in Hawthorne, California. The Malibooz have an engraved brick on the monument. The second photo is of John Zambetti and Kathy Koerner, the original "Gidget." The third photo is of John and Brian Wilson's first wife, Marilyn, who was one of The Honeys. The final photo is of John Zambetti, Billy Hinsche (former Beach Boy, formerly of Dino, Desi, & Billy, former Carl Wilson brother-in-law), David Marks (founding member of the Beach Boys. Malibooz Rule! was dedicated to him.) and Stephen Kazinsky (co-writer with Dennis Wilson of several Beach Boys Tunes). The Malibooz 40th Anniversary Reunion show - August 11, 2004 at Loyola High School in New York City. This was where John, Walter, and the original Malibooz line-up (John Zambetti (guitar), Walter Egan (guitar), Chris Murray (vocals), Ace Lopez (bass), and Tommy Scarp (drums)) went to school and where the band was founded. The luncheonette photos were taken at Pete's Luncheonette on 83rd St and Lexington Avenue in New York City at "their" booth - the booth the band always sat in after school. The final photograph is of the boys in the Sirius Satellite Radio studios.